Yesterday I saw the last remainings of the Chinese New Year decorations being taken away. 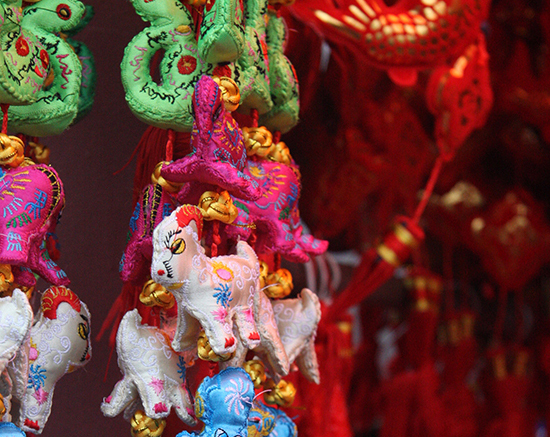 Never tought that I would start appreciating the overwhelming and over the top decorations that were everywhere during Chinese New Year..
other ornaments, like fishes in the supermarkets and shops along the street, it’s hard to find the real treasures. However I found that when zooming in on a specific individual item, and taking a closer look at the stitching that some of them have, the bright colors, the shiny materials… I actually started to like them. Of course I do have my favorites, which I’ve posted here. 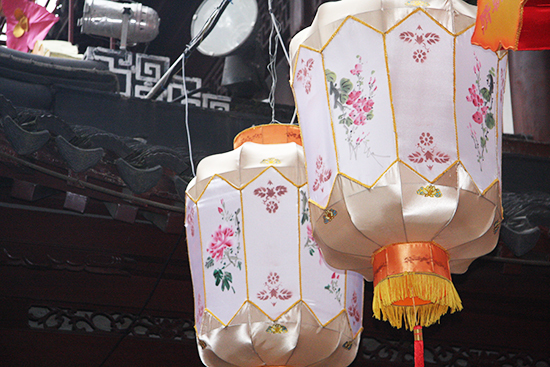 The light colored lanterns are definitely my number one, especially against the dark background of the Yu Yuan Garden traditional buildings. 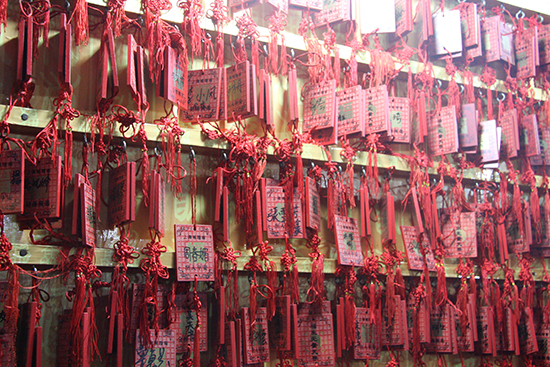 The decorations of the Temple of Gods, where the air was full of incense, are somehow almost serene, despite the red color. They form a very regular pattern and there’s a lot of repetition. I really enjoyed it. Inside the temple the red ribbons are sold to write your wishes for the New Year, they also make a very interesting picture. 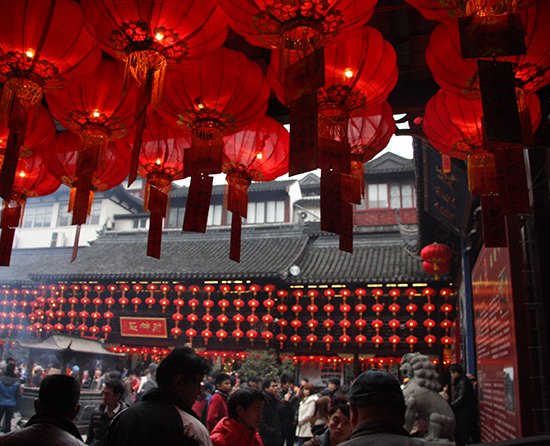 Although for westerners Chinese New Year is not such a big thing as for the Cinese people, I definitely was fascinated by the atmosphere. We were starting to get used to the fireworks, that could be heard for a period of about two weeks, every night!